The car company Land Rover is partnering with the private spaceflight company Virgin Galactic to send the most adventurous people it can find into space. 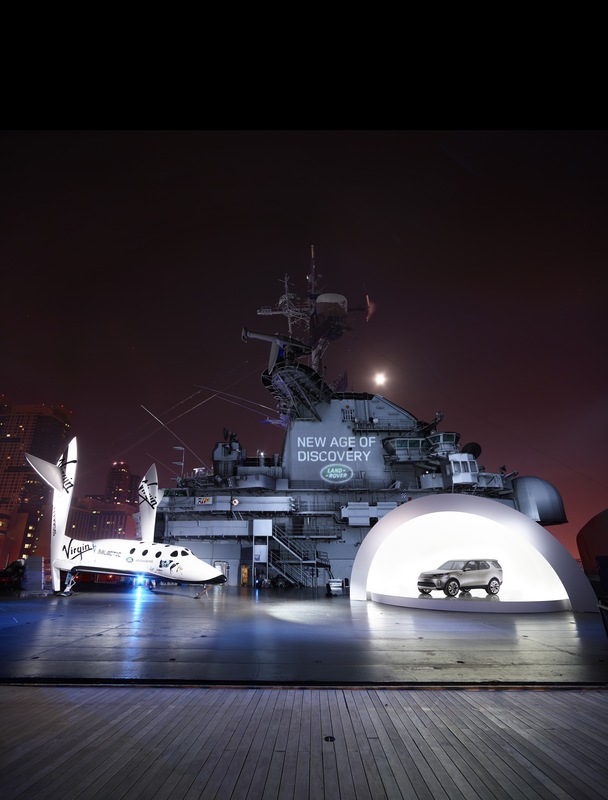 In concert with the launch of its 2015 Discovery Sport SUV, Land Rover representatives will look in 29 countries for “the world’s most adventurous spirits.” They will then select a winner (along with his or her three friends) by the end of this year. Aspiring astronauts are invited to produce a 30-second video, or to send a still image, showing their “spirit of adventure” — as well as to select three friends to go with them to space. All entries should be submitted to Land Rover’s website. The so-called “Galactic Discovery” competition was also highlighted in a film with “a group of the world’s greatest-living adventurers,” according to Land Rover. The people featured in the short movie include Virgin Galactic founder Richard Branson, British explorer Ranulph Fiennes, British adventurer (and Land Rover ambassador) Bear Grylls, and former actress and wildlife campaigner Virginia McKenna. This isn’t the first time the companies have worked together. Virgin Galactic and Land Rover announced a global partnership in April. When flights at Virgin begin, which could start by the end of this year, astronauts will head from the New Mexico spaceport to their waiting spaceship in Land Rover vehicles. The companies are planning future “development of immersive experiences” for its customers, as well as science, technology, engineering and mathematics education programs to encourage students to pursue careers in those fields. Virgin has spent the past decade or so developing its spacecraft, called SpaceShipTwo, which will be towed high into the atmosphere aboard the carrier spacecraft WhiteKnightTwo before taking off for a brief trip into suborbital space. The company has performed several powered tests of SpaceShipTwo and is aiming to send Branson and his family into space later this year on the first flight. Suborbital hops for paying tourists would then begin as the company begins flying the hundreds of people with tickets on its waiting list.